Lots to do in and around Central Ohio this Spring! Erica Morrison is starting a co-ed, inclusive scouting group, which will be chartered through the Baden-Powell Service Association (BPSA). The group will not be gender segregated, and will not discriminate based on religion, race, sexual identity, sexual orientation, or other differentiating factors. Activities will focus on community service, and outdoor skills and adventure. Anyone age 5 and up can be a scout (yes, including adults! ), with the group divided into four sections based on age. To get started, the group needs female and male adult volunteers to be scout leaders, and of course, we need scouts! If you or your children are interested in being involved, please email Erica at [email protected]. How Unique Is Planet Earth? Marc Pinsonneault, Professor, Department of Astronomy, The Ohio State University (OSU) will be the guest speaker at the next Unitarian Universalist Atheists-Skeptics-Humanists (ASH) group meeting at 7 PM on March 22nd. New, much more sensitive instruments and space probes are allowing us to detect the existence of previously unknown planets, some of which can have earth-like characteristics. Even though the planets cannot be observed directly, the movement of stars gives away their presence. RSVP on the new UU ASH Meetup account. 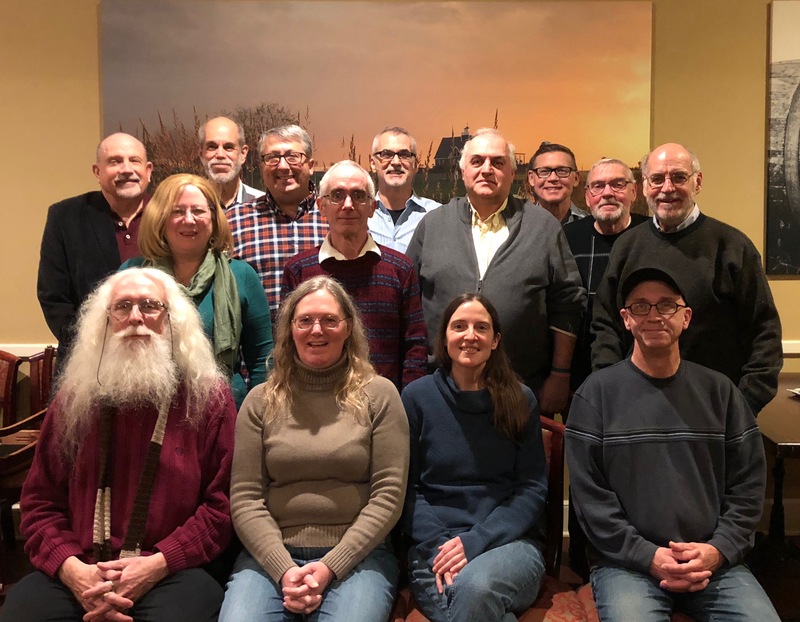 The ASH group meets at 7pm on the 4th Tuesday of each month at the First Unitarian Universalist Church of Columbus at 93 W. Weisheimer. 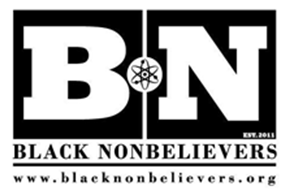 Programs include guest speakers, videos, discussion of topics of interest to Atheists, Skeptics, and Humanists. Although sponsored the by church, one does not have to be connected in anyway to attend. All are invited. 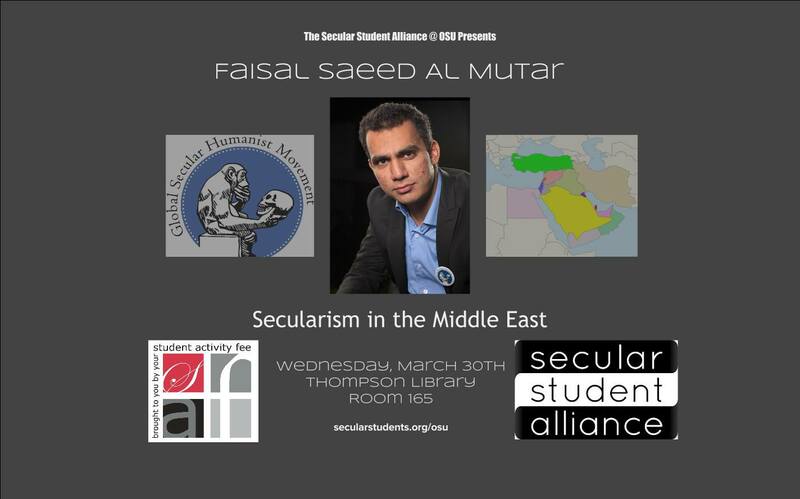 Come join the Secular Student Alliance (SSA) at OSU for a talk and discussion lead by The Global Secular Humanist Movement founder Faisal Saeed al Mutar about secularism, the Middle East, the war on terror, and other related topics. RSVP for this event to be held on Wednesday, March 30th, 7:30 pm at Thompson Library Room 165 on the OSU campus. 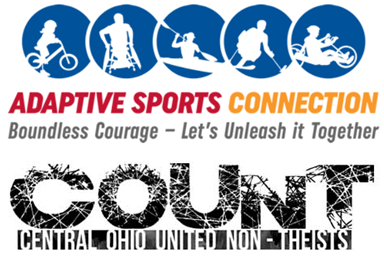 Central Ohio United Non-Theists (COUNT), the Humanist Community of Central Ohio (HCCO) and Freethought Dayton are all teams in Foundation Beyond Belief’s network along with over 100 other freethought groups. 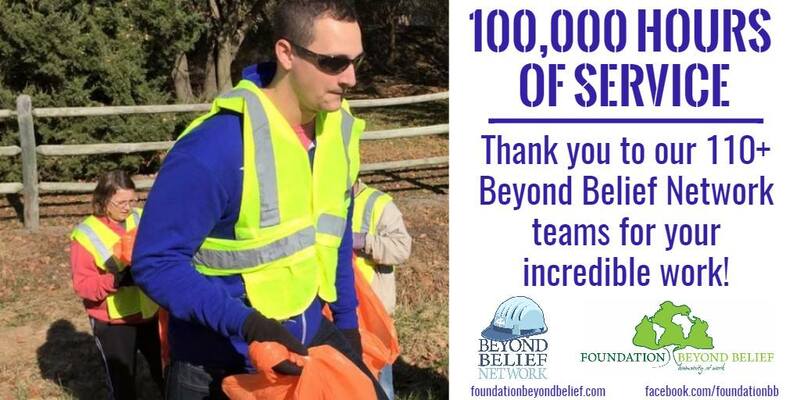 As of this month, the Beyond Belief Network (BBN) teams have accumulated over 100,000 hours of charitable service. 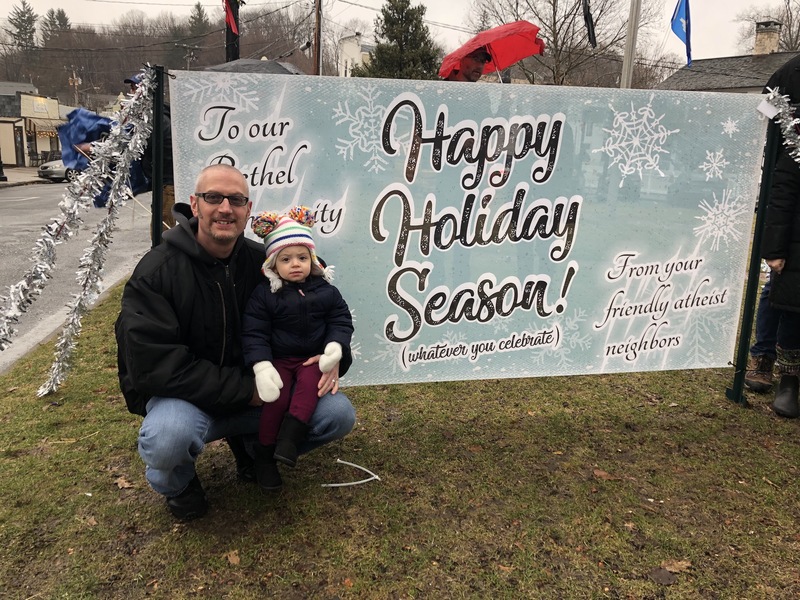 COUNT affiliated in 2013 and has turned in over 1,000 hours working at Ronald McDonald House and (jointly with HCCO) at the Van Buren Drive Homeless Shelter. HCCO has been affiliated longer than COUNT and has held a variety of volunteer events including Red Cross blood donations. Congratulations to both teams for reaching this milestone! The Columbus Ronald McDonald House (RMH) provides housing and meals to families with hospitalized children. 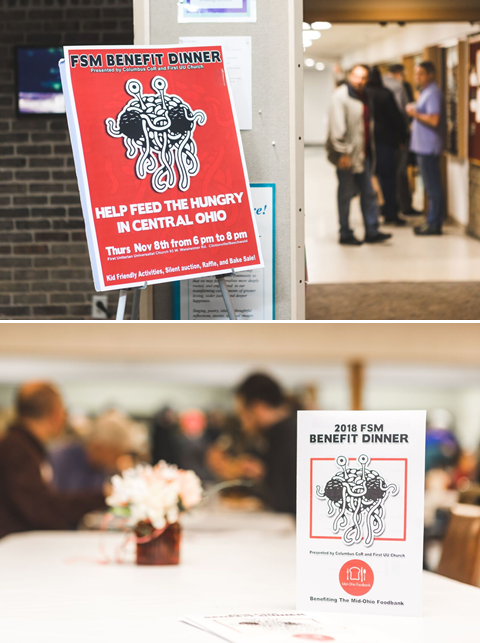 Central Ohio United Non-Theists (COUNT) has been working with RMH since 2013. Children’s science books were collected on Darwin Day and donated that year. Volunteers started working as Housewarmers in May 2013 and 12 have worked a total of 669.7 hours as of March 6th. There is now a “fast track” for trying out volunteering; get more information and RSVP for events on 4/3/2016, 5/1/2016 (a Week of Action Event) or 6/5/2016. COUNT has been serving meals at the Van Buren Drive homeless shelter since January 2015. Volunteers work from 5:30 – 8:00 PM serving dinner and cleaning up and typically then join the Omnipresent Atheists (OA) meetup at Hampton’s in progress for dinner, drinks and conversation. 17 events were held since January 2015 with 48 participants working a total of 341 hours as of March 8th. The number of volunteers needed to staff the entire shift has grown from 5-7 to 15-20. At the September Columbus CoR meeting, COUNT invited other Columbus CoR groups to have joint events. COUNT had four joint events with HCCO and the next three events also involve both groups. Signup for upcoming events: 4/12/2016 at COUNT or HCCO, 5/10/2016 at COUNT or HCCO and 6/14/2016 at COUNT or HCCO. COUNT works with HCCO on a 2 mile stretch of 270 on the North side of Columbus. Clean up events for the HCCO stretch are scheduled for 8 AM on (Easter) Sunday March 27 (COUNT, HCCO) and Sunday May 29th (COUNT, HCCO). Mid Ohio Atheists (MOA) cleans up a 2 mile stretch of Interstate 71 near Route 13 near Mansfield which now displays a Gold Star on their Adopt A Highway sign recognizing 5 years of “faithful” highway cleanup. “Join us to celebrate the National Day of Reason while bringing our community together. Make new friends, catch up with old, and have some fun!” says Christina McDuffie, Columbus CoR Event Coordinator. This 3rd annual Columbus CoR Community National Day of Reason picnic will be at the Northern Shelter of Highbanks Metro Park on Saturday May 7th from 1-5 PM. RSVP with COUNT, OA or another Columbus CoR group. Can you afford to miss this massive gathering of non-believers? The speakers and entertainers list for the June 4th Reason Rally now includes actor Johnny Depp as well as actor John de Lancie (Star Trek TNG’s Q), comedian Margaret Cho, rapper Killah Priest, Carolyn Porco (NASA Cassini), Bill Nye, SciBabe (Yvette d’Entremont), Maryam Namazie, Julia Sweeney, Kelly Carlin, Mark White (of the Spin Doctors), Amber Heard, Baba Brinkman, Leighann Lord, Andres Roemer, Cara Santa Maria, James Randi, Eugenie Scott, Paul Provenza, Richard Dawkins and Lawrence Krauss. Ask anyone who attended the Reason Rally in 2012 and they’ll tell you what a great event it was. Reservations are being accepted for “red-eye” bus transportation to and from the National Mall in Washington DC at rallybus.net/reason-rally. Details about the event are at reasonrally.org. You can sign up on an e mail list there to receive announcements. Omnipresent Atheists (OA) has posted a Meetup event and invites other Columbus CoR group members to join in. HCCO has had a booth at the Columbus Community Festival (Comfest) for many years and Columbus CoR is planning to get a booth and table for its third year. Comfest takes place this year on Friday June 24 – Sunday June 26 in Goodale Park. More details about volunteering will be available later. Volunteer at the 2016 Secular Student Alliance (SSA) Conference July 8-10 with COUNT. COUNT members will assist the SSA in providing training to secular attendees and have free admission to training sessions. COUNT volunteers will receive valuable training in group organizing and other topics. Many entertaining and informative sessions will be available to COUNT attendees, who may learn how to more effectively publicize non-theist volunteerism while participating with many other fun secular student attendees. Volunteer roles include: Drivers (shuttle speakers to/from airport), Runners (relay messages & watch rooms), Video Recorders, Merchandise Sellers/Tablers and Facilitators (keep talks on schedule). Assignments/schedule are flexible and will be arranged directly with SSA staff. Volunteer spots are limited so RSVP soon to get your spot! Detroit will host a secular convention October 28-30 featuring well known speakers on atheism, humanism, science, education and skepticism as well as entertainment and community. The tentative line up features: Seth Andrews, Phil Ferguson, Shelly Segal, Lucien Greaves, Sarah Morehead, Steve Hill, David Fitzgerald, James Croft, JT Eberhard, Matt Dillahunty, Faisal Saeed Al Mutar, Dr. Darrel Ray, David Smalley, Jeremiah Camara, Rebecca Vitsmun, Eddie Tabash, Greydon Square, Justin Schieber and Thomas True. Early Bird ticket prices start at just $35 for all three days. More details will be available at greatlakesreasonfest.com. HCCO, MOA, SSA at OSU, UU ASH, COUNT and OA are members of the Columbus Coalition of Reason (CoR). Freethought Dayton and the Secular Student Alliance are Friends of Columbus CoR.